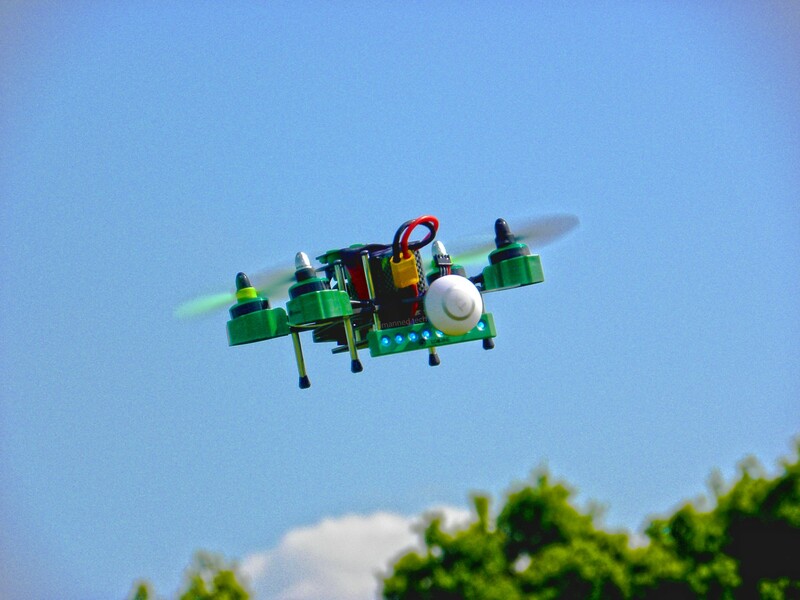 I recently reviewed the falcon 180 which is a great mini FPV quadcopter, but it does require a few tweaks to get it working nicely out of the box. 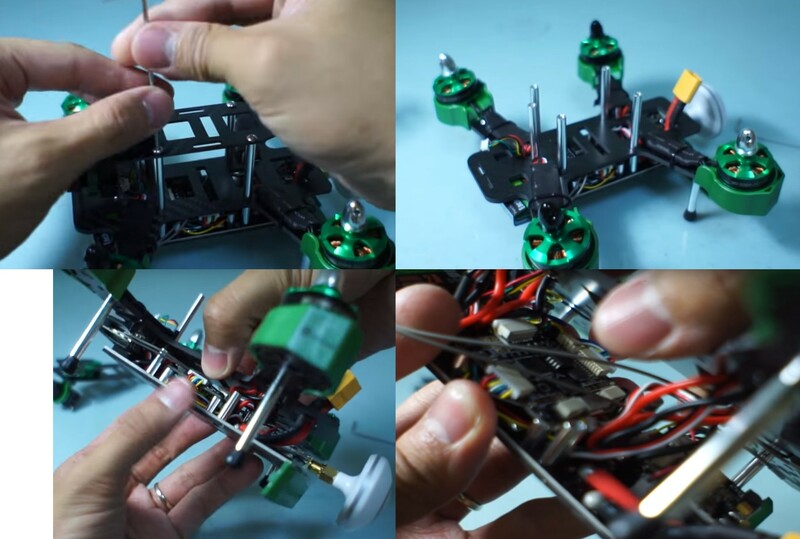 So this is a quick guide to show you the main things you should setup to get the most out of your Falcon 180 FPV racing quadcopter . Out of the box, the radio is configured to have the aux switch to the the rotary knob VrA. Although this works it just about makes it impossible to change flight modes while flying unless you have a third hand. So we will need to change this to the 3 position flick switch SwC on the radio. This will allow us to change between 3 flight modes very easily on the quadcopter while in flight. To do this you need to turn the radio on into programming mode to access the menu. While holding the yaw trim to the right, and the roll trim button to the left (also known as the Vulcan salute). Once the radio has booted up long press the OK button on the right until a menu screen appears. Using the up and down buttons on the right, select the Functions Setup menu and press OK. Select the Aux. 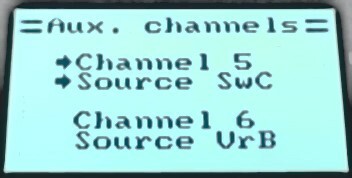 channels option and press OK.
Once selected long pres the Cancel button to save. Yes I know its weird but that is what you need to press to save the settings. Now when you go back into cleanflight and move SwC you will see it moving between 3 positions, allowing you to configure 3 flight modes. I suggest you set Acro, Horizon and Air Mode as shown below: Si when the switch is in the neutral position your falcon will fly in Horizon mode, but then you can flight to angle mode, or air mode to fly acrobatics (only do that when you know how to fly). Another critical step before you fly is to setup the throttle failsafe. If your radio looses contact with your falcon it will send a failsafe signal to let cleanflight know. 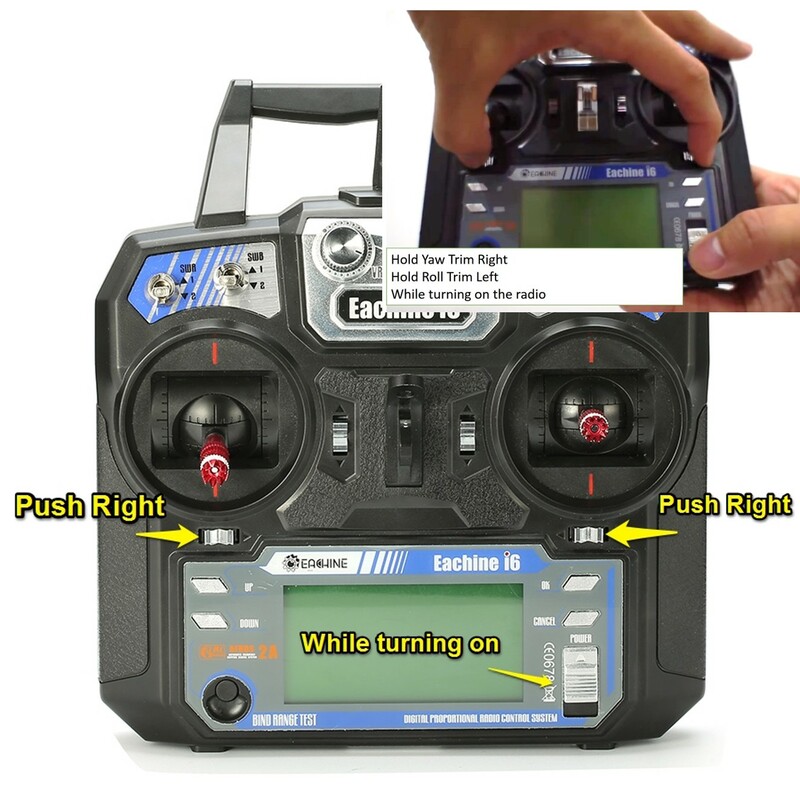 By default this is not enabled so if you loose radio contact your quadcopter will most likely continue as it was and fly away. The failsafe is setup quite easily by doing the following. Again boot your radio up into programming mode (as above by holding the yaw, and roll trims inwards while powering on your radio). Now select System Setup Menu and press OK.
Scroll to select the RX Setup option and press OK. 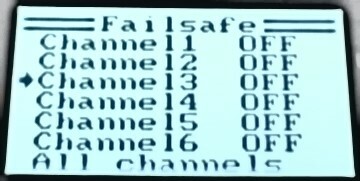 Within the RX Setup menu now you must select the Failsafe sub menu. 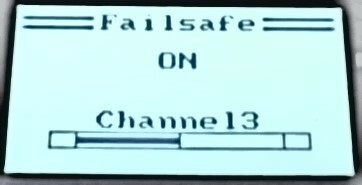 Once in the Failsafe menu scroll down to channel 3 (throttle) and select OK.
Make sure your throttle stick is all the way down and press the down button to turn the channel 3 failsafe to on. Once done press OK to go back to the failsafe menu. Now you should see the channel 3 values reads -99%. To save this you need to long press the Cancel button. 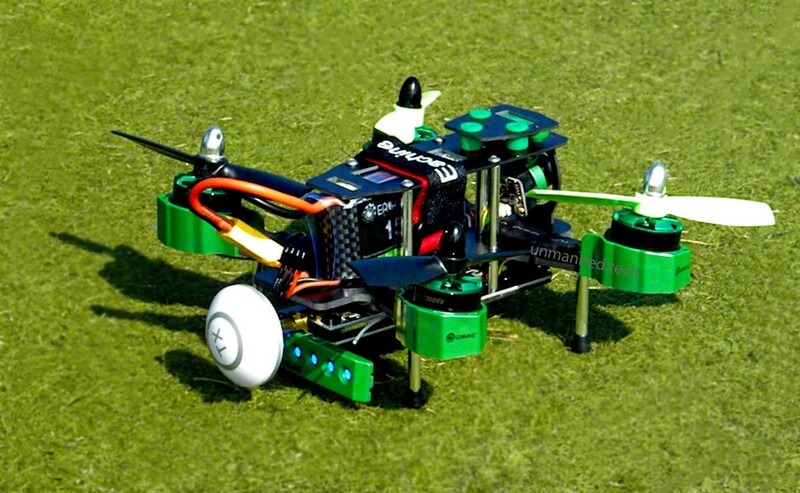 Out of the box, the PID’s are good enough that the quadcopter can fly, but overall I would say they are not great. So its a good idea to change them. To change the default PIDs simply connect to cleanflight, and go to the PID Tuning page. This should give you much better precision while flying. Once done, hit the save button to write the settings to your board (not literally as you could damage your computer). If you ordered your falcon 180 with the SP Racing F3 flight controller its best to rotate the flight controller so that you can easily access the USB port (as this is something you will probably do fairly often). 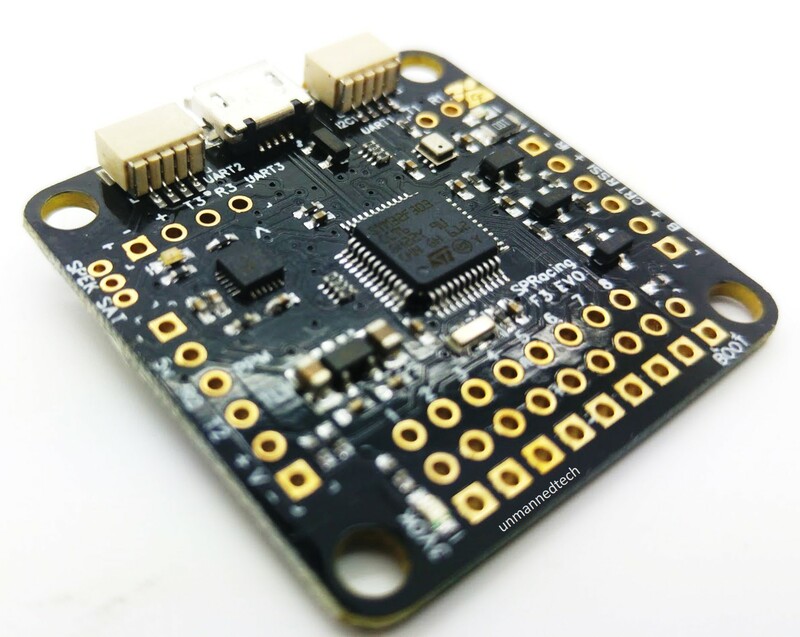 If your falcon uses the naze32 flight controller then you dont need to do this as it already has the USB port on the side. Its a fairly cumbersome process as you need to first remove the top 5 screws to undo the top carbon fiber plate. You then need to carefully unplug the FPV camera. You then need to unscrew the metal standoffs to lift the lower carbon fiber plate to access the flight controller. Rotate the flight controller 90 degrees so the USB port is on the side and re-assemble your falcon quadcopter. Once everything is back together you will need to open cleanflight again and set your board orientation. 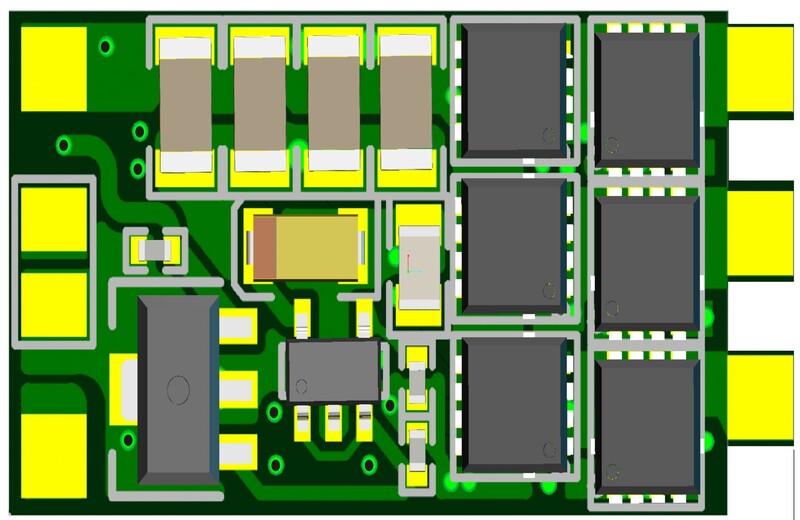 This is done on the configurations tab where you change the Yaw value to 90 (if the USB board is on the left) or 270 (if you USB port is on the right). The tilt is -10 degrees because the motors are mounted at 10 degrees.